Click image for downloadable/printable pdf version. High School - 7:50 a.m. to 3:30 p.m. 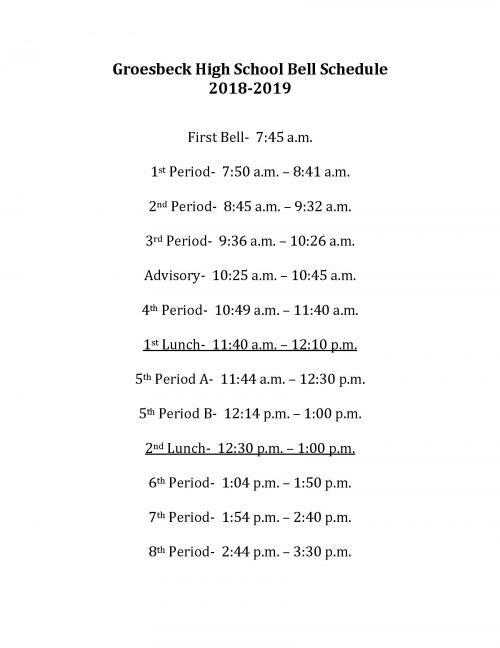 Early Release – 7:50 a.m. to 11:41 p.m.
Groesbeck ISD has added a layer of security for students and staff at Groesbeck High School. 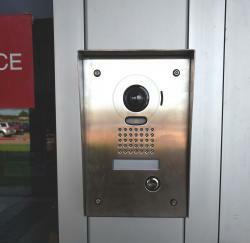 The security measure is located at the front entrance. 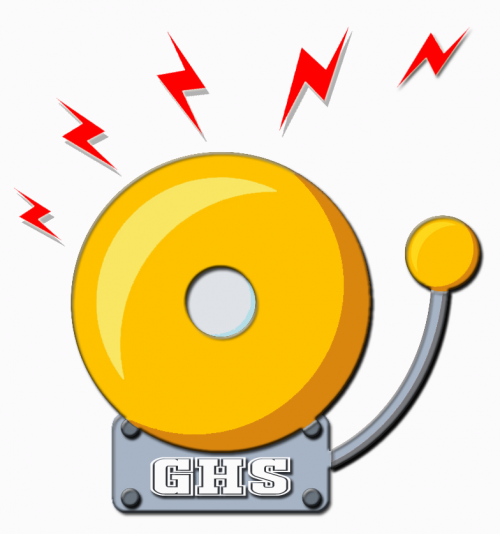 During school hours, visitors wishing to enter GHS must be let in through a set of doors equipped with a camera and locking mechanism. 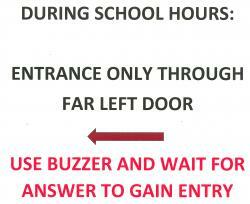 To enter the high school, please press the button located on the box to the left of the front entry doors. Once you press the button, office staff will unlock the door and you may enter. While it is polite to hold the door open for someone, please do not hold our doors open due to concern for the safety of our students and faculty. Safety and communication is a priority at Groesbeck High School. Thank you for allowing us the opportunity to educate your children each day. 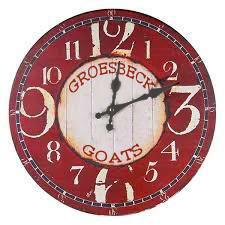 The mission of Groesbeck ISD is to ensure that every student achieves maximum potential. At Groesbeck High School we offer a wide range of academic programs for all students. Numerous dual-credit and/or tech prep courses are offered through Navarro Community College, The University of Texas Permian Basin and Texas State Technical College. We have had17 students graduate from high school with a general associates degree over the past two years, this is a great accomplishment. We are also excited to announce a welding certification program and a CNA program beginning this school year. Outstanding extracurricular programs are in place, including a wide range of sports, band and a theater arts program. We are proud of our academic UIL teams and the success that they have had, including the 2014 first place State Spelling Team. Our teams and organizations consistently advance past district to area, regional and state competitions and have won state championships in past years. In addition to these activities, GHS has active participation in FFA, Student Council, National Honor Society, Spanish Club, Literary Club, Theater Club, Art Club, and FCA. All of these clubs are opportunities for students to get involved in their high school experience!